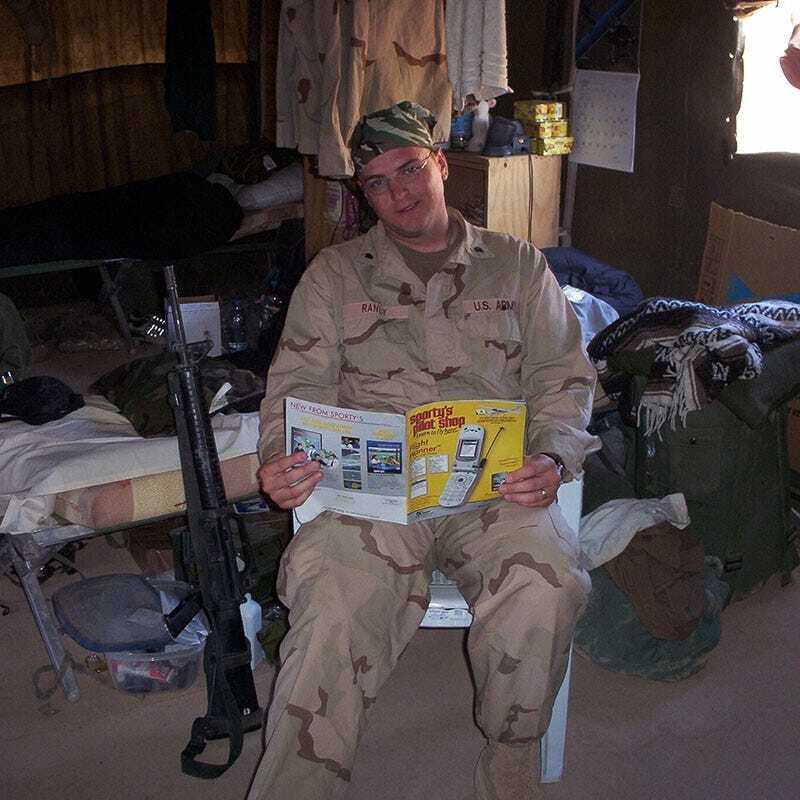 We first arrived in the Iraqi desert early in 2004. The invasion dubbed “shock and awe” happened in 2003, so our battalion was part of the rebuilding phase. This was well before all the fancy armored vehicles appeared in theater. 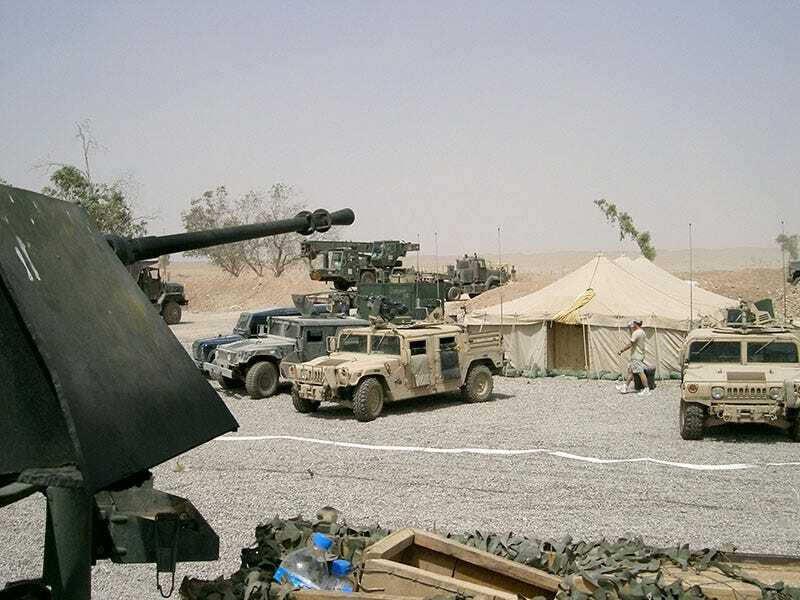 The “armor” on our trucks and humvees consisted of sheet metal we cut via torch and welded together. This armor “worked” for bullets, but not so much for IEDs. We would later learn the hard way that the IEDs were a much larger threat. So you can image our joy when the first truly armored humvee arrived. This beast was brand spanking new. It had a big powerful engine, armored doors/windows, and the best thing in the world: air conditioning. The thick armored windows didn’t allow much air movement, so a humvee quickly became a traveling oven in the desert. The soldiers in our platoon would go to great lengths to be the lucky one who got to ride with the commander in his fancy wheels with the fancy air conditioning. When the new humvee first arrived, it was brought to the motor pool to get entered into our dispatch system. During this process, we operators were allowed to gawk and drool over this new queen of the desert. OD tan in color, there was hardly a speck of dust on the tires, as it had arrived via semi truck. Seats with real padding, enough room for your knees, and working door latches had us ready to take it for a spin. During a military operation, it’s the simple things you really appreciate. This was also the first wheeled vehicle in our stable that had a built-in intercom system. This allowed the driver to communicate with the soldier in the gun turret. The intercom had boxes and wires in multiple locations with big plugs for operators to plug in a headset. But where were the headsets? This humvee was our first hatchback. It looked as if there was a massive trunk space under the hatch. We just had to see what goodies might be tucked away inside this new treasure chest, so we begged the motor pool sergeant to unlock it. As the door lifted up on the pressurized supports, a choir of angels started to sing, the dust parted and a blue sky showed through for but a moment. The glowing halo of light subsided to reveal the source of the heavenly chorus: Bose military headsets. We could hardly believe our eyes, and later, could hardly believe our ears. Not only did we get air conditioning, we were now graced with the ability to communicate. With these headsets on, the roar of the engine was gone. The report from guns faded away. Our ears didn’t have to ring for days after a convoy. Bose headsets not only made life in the desert better, they made it safer. After returning to my civilian job here at Sporty’s Pilot Shop, I quickly became acquainted with the aviation equivalent to what we had in the back of that humvee. If a Bose headset can have that type of effect in the harsh desert environment, they can certainly be a game changer in the cockpit. P.S. Sporty's Pilot Shop is essential reading - even in the desert! Great story!! Thank you for your service to our country!! Nice to know real technology is making it to the battlefield. 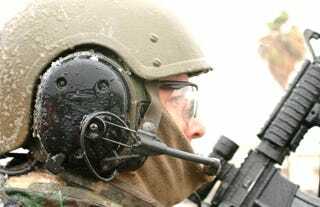 When I was in the 3/8 Cavalry, all we had for armored vehicle communications was a CVC helmet and integral headphones. Worked well at a halt, but on the move, all you could hear were the tracks and engine in full throttle. If you shouted enough the track commander and driver could communicate. The gunner was inside and didn't have too many problems (except when firing). He was only 2 feet away from the tank commander, so they could use hand signals. I didn't know BOSE had military contracts. At least the money people finally picked a good one. Thanks for your service to our wonderful country and subsequent return. Thanks for serving. Love those Bose headsets! I truly enjoyed your artical. I’m so proud of you. Great pictures! Read the latest articles from our team of pilots.